February 4th marks World Cancer Day. Alongside surgery, chemotherapy and hormone treatment, radiotherapy has been a mainstay of cancer treatment for well over 100 years. Just weeks after Wilhelm Roentgen’s discovery of x-rays in 1895, student doctors began experimenting with the mysterious rays to treat cancer, and other conditions such as ringworm. By the 1920s, x-ray generators weren’t capable of making the intense beams of radiation needed to treat certain tumours. Hospitals turned to experimenting with radioactive materials such as radium. This strange looking contraption is a radium ‘bomb’. It’s a rather ingenious machine developed at London’s Westminster Hospital for cancer treatment in the early 1930s. The ‘bomb’ – the egg-shaped treatment head pictured on the left – was a lead-lined container for radium that restricted the beam of radiation. It was extremely heavy, and to keep it in position its weight was offset by the counterbalance you see at the bottom. (credit: Science Museum Photo Studio). Why does it look so odd? Well its designers were faced with several difficult dilemmas – how to deliver treatment to the patient whilst keeping staff safe from radiation exposure? 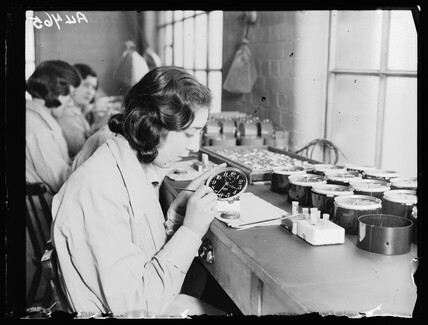 With radium costing over £200,000 an ounce, maximizing the effect of the few grams of radium received on loan from the government, was a critical concern. Like much experimental medical apparatus, this equipment was made in the hospital’s own workshops. In fact it was made up of bits of bike! Staff could be kept at a safe distance when positioning the ‘bomb’, and to expose the patient’s tumour to the radium – a shutter was operated via a bicycle brake cable. When not in use, hospitals would keep radium buried in lead-lined chambers – protection that became critical with the impending threat of actual bombs during the Second World War. Cancer treatment went on to change rapidly. More powerful radiation sources were developed, such as linear accelerators. Atomic reactors also helped to transform the situation – through producing large amounts of alternative radioactive material such as cobalt-60.